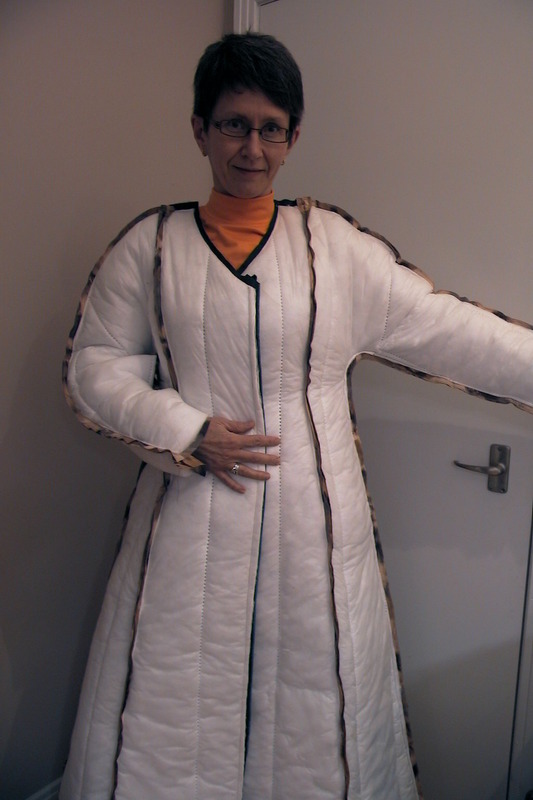 Even before cutting the pieces for a muslin, I am planning the lining of my Burda coat. My first idea was to quilt, in a creative way, Thinsulate to the kasha lining and give to my boiled wool jacket a little warm woompf. After reviewing The Sewing Laywer's blog on her Burda 7731 project (see picture on this article) and reading this exchange on Pattern Review's blog, I entirely revised my position. The key words I remember from those readings were: Michelin Men, Bulky, No Drape, Not suitable for wool jackets and Made for thin nylon fabric. Ok you convinced me !!!!!!!!!! Thank Kay you for sharing your knowledge . Or else, I would have headed for a disaster. Now I have boiled wool and kasha lining and those 2 together are not warm enough for Montreal's -10 oC or -20 oC or worst -30 oC... well at -30 oC I will wear another jacket for sure. But still, Montreal could be cold. So what are the options according to you ? Polartec, lambs wool, or ??? I used lamb wool in a previous jacket that I plan to show you soon. It is not sufficient to keep me warm under -5 oC. So far I have been wearing a duvet vest under my wool jackets to keep me warm. Keep in mind that I walk 4 kilometers per day on my way to and from the office. I do not travel by car. The duvet vest gives me comfort and warmth, but it also makes me look like Quasimodo (the hump back in Notre-Dame de Paris ;-)). It fluffs my jacket a little too much. If I could, I would like to avoid that option. 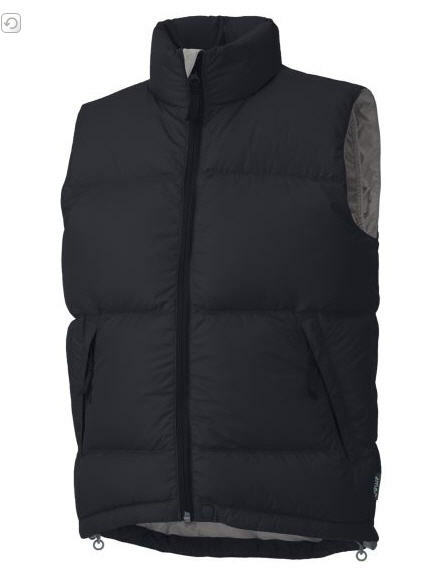 On the other hand, a thin lining with the duvet vest allows me to wear the jacket during fall and early spring. Again, what do you think, what are your suggestions? I am glad I don't live in Montreal. I'm too fat for all that extra padding! The real secret to a warm winter coat is a wind-proof layer to trap warm air in the insulation. Boiled wool probably is not wind proof but you may be able to add inner layers that are. Some ideas: You could consider a thin windproof fabric as underlining (rub it inside a layer of your fabric to ensure it won't be noisy). Put your insulation between this layer and the lining. A chamois layer in the back above the waist is a good wind-stopper. Your jacket has doubled fronts (I think), so will naturally be warmer there. If you have a windproof layer, 200 wt. polar fleece inside it is very warm.